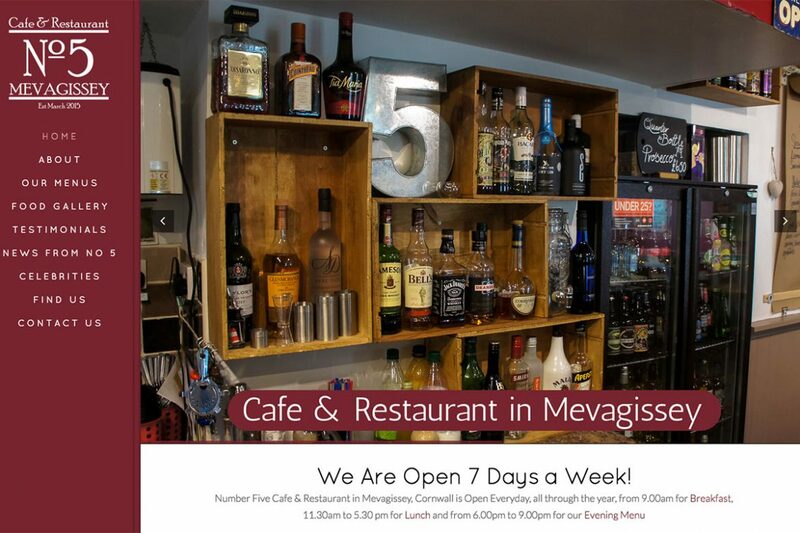 Number Five Cafe and Restaurant in Mevagissey Cornwall are a small and friendly family business run by Mark, Debbie, Jasmine providing all day table service and substantial menus that have been personally designed by Mark to reflect the incredible cornish coast and countryside around Mevagissey. The website has been created to show all cafe and restaurant goers all the fantastic dishes from just a coffee and a cake to full evening dinner. If you are down in Cornwall you must visit and afterwards take a stroll around the picturesque Mevagissey Harbour.